Yesterday, I spent most of the afternoon and early evening birding with my friend around Goose Lake ,then finishing up at Pike Lake, we then decided to check the Gull roost opposite the QE2 power plant. It wasn't long before we found a dark backed gull among the many other usual species. This particular gull has been the subject of much debate, but the general feeling is that it is now a Slaty-backed Gull , Saskatchewan's 3rd ever. 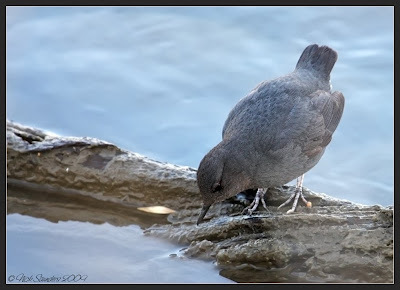 The highlight for me though was an American Dipper that was hopping along the rocks along the west shore. This is Saskatoon's 2nd sighting , the last one being in 1997. 9 have been seen in total in Saskatchewan. Dipper's are usually found along fast-flowing mountain streams, so the trickling water here must have been enticing. 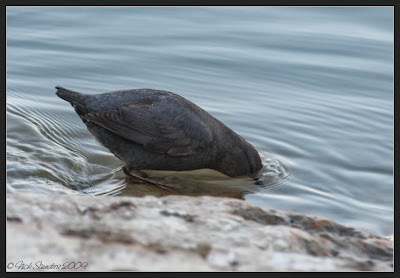 The bird was very active, bobbing up and down, as it jumped from rock to rock, and occasionally dipping its head into the water. This species, is equipped with an extra eyelid called a "nictitating membrane" that allows it to see underwater, and scales that close its nostrils when submerged. Dippers also produce more oil than most birds, which may help keep them warmer when seeking food underwater. I would have loved to have seen it swim, but for now , this is the best sighting I have had for a long time.. Some good sightings there Nick, no wonder you were pleased. That Dipper is a beauty, and quite amazing how they run under the water in their search for food. Sigh. 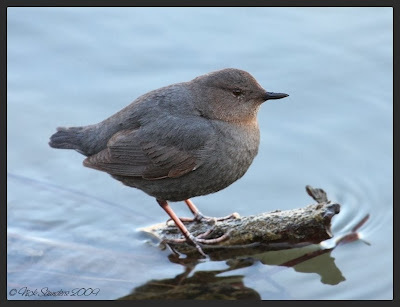 American Dipper is probably one of the top ten birds on my "wish list". I guess I'll just have to live vicariously through you. Beautiful images Nick ! Congrats on finding him ! Great capture.It sure pays to be at the right place at the right time. Oh wow....I would love to see this bird. I have read about them and watched them on videos, and they are fascinating. 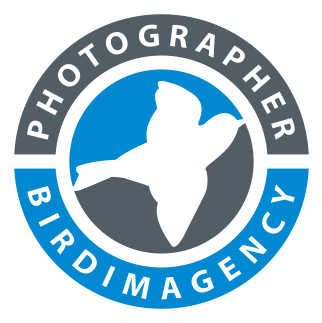 Wonderful photos and congrats on the rare lifer! Oh! It's such a cute birdie!! Wow, what a great find for you...We don't get many of those lucky catches that often, but to hear about this unusual bird was fascinating! Way to go! Excellent photos and info! 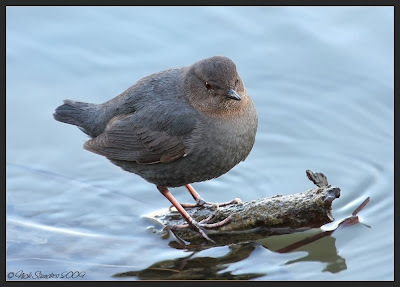 What a model your little American Dipper turned out to be! Lovely! I just read your piece in the Birds & Blooms Extra Magazine and it was an interesting story about how you got started with photography and(of course) awesome images! Congratulations, Nick! Congrats on the lifer Nick plus the usual excellent pictures and information.